Has this stylish surname possibility missed its moment? Or could it be the next big thing? 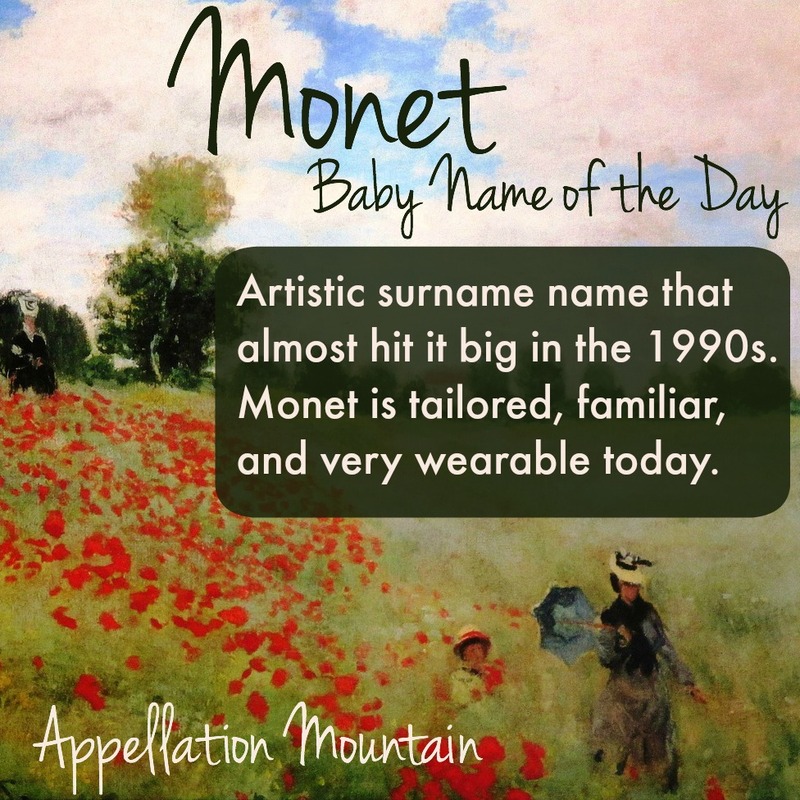 Artist Surname Week begins with Monet as our Baby Name of the Day. 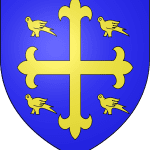 There are plenty of given names that end with -mon, and Monet could come from many of them: Edmond, Aymon, even Simon, though Edmond seems to be the most often cited. There’s a similar surname spelled Monnet – which seems slightly more common as a surname, but virtually unknown as a given name. I’m guessing it’s related, but I can’t say for sure. As for Manet, I’m even less certain of the origins. Speaking of being virtually unknown, Monet isn’t listed in the Meilleurs Prenoms database, which leads me to suspect that you won’t meet une petite fille named Monet in France today. The et is pronounced more like the English ay – a long ‘a’ sound. 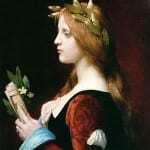 Authentically French or not, that makes Monet feel at home with girls’ names like Renee and Desiree, both popular imports in the second half of the twentieth century. Born in 1840, Claude Monet is considered one of the original French Impressionists. His painting “Impression, Sunrise” gave the movement its name. Nearly two centuries later, he remains a household name, and odds are good that you recognize his most famous works, most of which feature bridges and water lilies. The tiny French village of Giverny was his adopted home, and tourists still flock there to tour his extensive gardens and the land that inspired so much of his work. Monet never cracked the US Top 1000, but it came close in the 1990s. More on the numbers in a minute – but first, what prompted parents to consider Monet for a daughter’s name? It must have been a mix of factors. 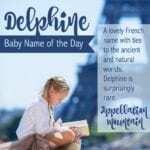 We’ve long loved French names for girls, and vowel-ending names like Renee and Desiree had both reached the US Top 100 in recent years. Plus, with an increased interest in surname names for girls, Monet fit in with Taylor and Madison. The X-Men’s M – both Monet St. Croix. Her story is a fascinating one, but it’s mostly been explored in comics. Should the character make an appearance on the big screen, it could spark new life for this name. Actress Daniella Monet has had roles on Nickelodeon sitcoms and also recorded pop singles. 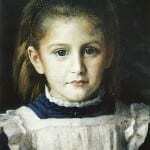 In this case, Monet is her middle name – she was born Daniella Zuvic. Grammy-nominated singer-songwriter Janelle Monae wears a phonetic version of the name. Again, Monae was originally her middle. Actress Monet Mazur has had a long career in movies and television. Born in 1976, her acting career started in the late 1990s – a little too late to explain the name’s peak popularity. Six girls received the name Monet way back in 1952. 175 girls received the name in 1997, the peak year. By 2014, that had dwindled to just 35 newborn Monets. In 1961, five girls were named Monae. 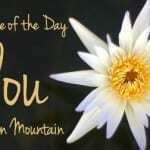 The peak year was 1998, with 113 newborn girls given the name. By 2014, there were just 37 girls called Monae. Why is that some names skyrocket while others fizzle? It’s hard to say. I’ve gone through a dozen possible theories in my head, but the simple fact is that Monet never made it big. That could be a great opportunity today. If you’re after a tailored name with an artistic sensibility, familiar but seldom heard, Monet is a one to consider. 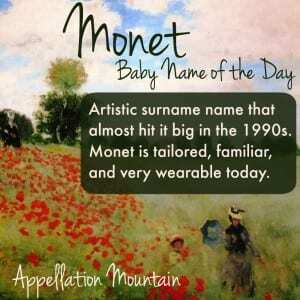 What do you think of Monet as a given name? Do you think this name is dated – or has yet to really take off? I don’t know if Monae is inspired by Monet… I read it as “money”, said in a fancy way and would assume the parents were doing the luxury name trend (like Bentley, Hermes, Mercedes). I’d say Monae as “Mon-AY”, not like the painter’s name “MO-neh”. But maybe that’s because my Dad is French. Claude Monet is my favorite painter, and Claudia was my favorite character in The Babysitter’s Club books, so my very favorite combo as a child [probably from age nine or so] was Claudia Monet — I’ve always thought the sound of it was gorgeous. I think if I had enough daughters, I’d still use it. Panya, that is a gorgeous name combination! This is a bit of a stretch, but in 1985, Linnea in Monet’s Garden was published and became a movie in 1995. Also, in 1987, Lisa Michelle Bonet began her role as Denise Huxtable. Maybe it was the confluence of sounds that brought the uptick in usage. Manet is a diminutive of Man(n), a given name identical with OG man ‘man’, per Morlet, Dictionnaire etymologique des Noms de Famille, s.n. Man.